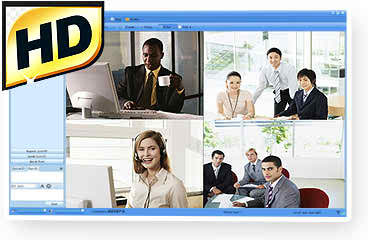 VCon-HD Client Multi-point HD video conferencing software. VCon-HD Client Multi-point video conference allows you to host a video conference, connect around the world with video conferencing. If there are more than 56 points of participants need to hold web conference, with video polling feature, each point’s video can be broadcast by turns. VCon-HD Client – Multi-point HD video conferencing software allows you to host a video conference, connect around the world with video conferencing. If there are more than 16 points of participants need to hold web conference, with video polling feature, each point’s video can be broadcast by turns. Support 720p & 1080p full high-definition. In VCon-hd web conference, you can choose full screen with high-definition video to see clear images of the people. Worldwide connects face to face. Besides, voice sync with mouth perfectly. Improve collaboration by sharing screen/application/documents/audio/video. With VCon-HD Client web conferencing software, participants can view your actions on the desktop in real time, view your selected application and file including PowerPoint, Word, Excel, PDF, TEXT, Image etc. Besides, you can send file to participant or receive file from presenter. 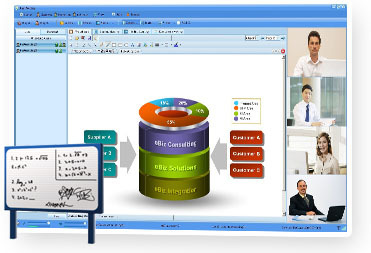 With this web conferencing software, you also can play the most popular formats including MP3, RM, RVMB, WMV, ASF, AVI, etc. 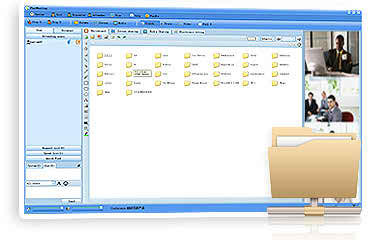 Remote PC access from anywhere via the Internet. Meeting host can allow any participants to access and control presenter’s computer from a remote location.If participant’s camera supports PTZ control, VCon-HD Client Multi-point HD video conferencing software allows you to zoom in and out participant’s camera and adjust the camera’s position with remote control. Capture the essential information then share. 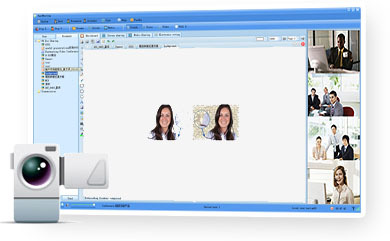 Capture the essential information accurately in high-resolution and save as .wmv or .asf file. Once the meeting has ended, you can share recordings to enhance meeting effective s. With VCon-hd web video conferencing software, you don’t have to worry about missing any information of a meeting any more. Set up voting and get result instantly. As meeting host, you can start electronic voting flexible with VCon-hd web conferencing software. Also can do the following operations, set up single choice or multiple choice questions; broadcast the result of voting; modify the content of voting; set valid time period for voting(at most 120 minutes); use non-anonymous function, etc. Besides, voting results can be aired in real time. 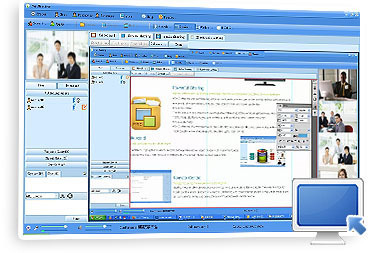 Separate video and whiteboard layout and display on two monitors with dual displays feature. Besides, VCon-HD supports set up to 6 cameras in one point for omnibearing displays.